Oil rigs are being shut down as Tropical Storm Isaac bears down. Tropical Storm Isaac is curtailing oil production along the Gulf of Mexico and threatening refineries, which could send already rising gasoline prices up another 10 cents in the coming week. 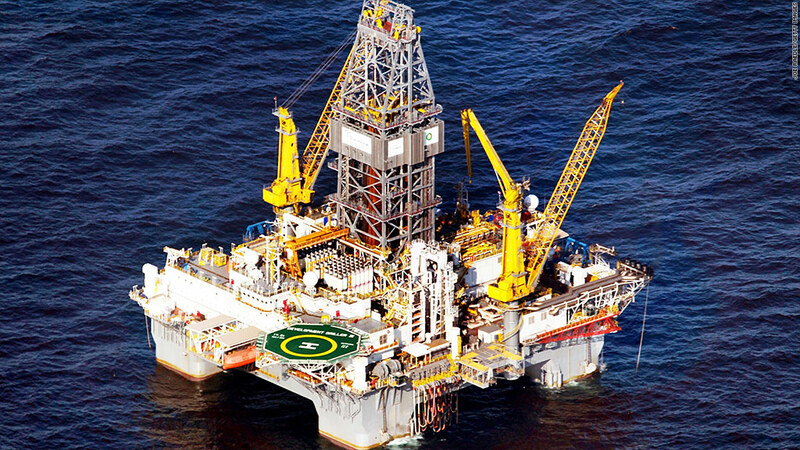 The U.S. Bureau of Safety and Environmental Enforcement, which oversees offshore oil production, said Monday that 78% of the current daily oil production in the Gulf of Mexico has been shut, with 346 platforms and 41 rigs evacuated. In addition, more than 48% of natural gas production in the Gulf has also been halted. BP (BP) said it is evacuating workers and temporarily shutting down output at all of its production platforms in the Gulf. Royal Dutch Shell (RDSA) said it is evacuating its platforms in the eastern Gulf, and has started to remove nonessential workers from the central Gulf area. Chevron (CVX) has started to remove some staff from its offshore facilities as well, though the company said its production and refinery output has not yet been affected. Apache Corp. (APA) and Anadarko Petroleum (APC) also confirmed they were evacuating staff from their offshore facilities. Exxon Mobil (XOM) said it is monitoring forecasts to determine which facilities it may need to shut, and is already evacuating nonessential personnel from offshore locations. Valero (VLO) said it is shutting two refineries: one in Lake Charles, La. that can handle 270,000 barrels a day, and one in Meraux that has capacity for 140,000 barrels a day. Marathon (MRO) is shutting its 490,000-barrel capacity refinery in Garyville, La., and Phillips 66 (PSX) announced its 247,000 barrel-per-day Alliance Refinery in Belle Chasse, La., should be completely shut by the end of the day. But Phillips' 239,000 barrel-per-day Lake Charles Refinery in Westlake, La., remains unaffected at this time.